* Read more: boltingbits.com/harvey-touch-the-wanderer-self-release * Watch on YouTube: youtu.be/EdRtXkj3-Io * Pre-order: bit.ly/2HFSMyF Harvey Touch is the solo project of Barcelona-based artist Javi Toca, who started his career at the beginning of 2015 seeking to create a name for himself at the intermediate point between the raw sound of synthesizers and the warmth of sampling methods. 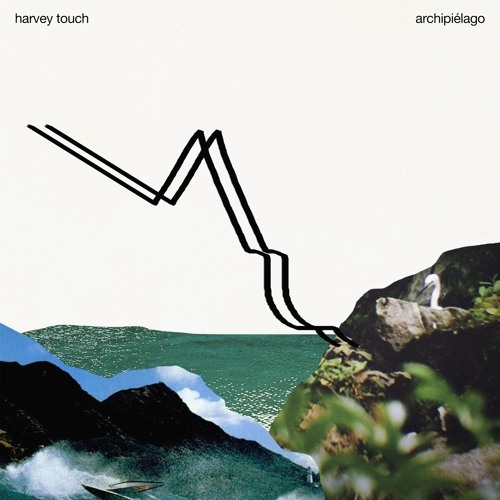 After a few years of dropping tunes like Changes, Warm by your side, or his recent EP "Astral Patterns" with the Lebanese label Feedasoul, Harvey now comes with his first self-edited record "Archipiélago." The original we are sharing with you today is taken from Harvey's forthcoming LP, and it's titled The Wanderer. The song begins with melodic drones from a sitar, which act as a tranquil introduction to the heart and soul of the piece - the vocal. Being one of the most memorable and emotive samples we've heard in recent memory, it's hard not to get teary-eyed by its beauty upon first listen. Although we are unable to make out the message contained within its powerful mystique, the female's voice immediately commands your attention as you eagerly await what's to happen next...and then just like that, the warm strumming of bass and angelic strings cut the tension like butter and overwhelm the track with an all-encompassing sense of optimism and playfulness. It's honestly very difficult not to have a more positive outlook than the one you had before listening to such a hopeful arrangement of melodies. I will certainly have this one queued up in my personal playlist if I ever need a pick-me-up during the upcoming days, and you should too! To get your copy of The Wanderer and the rest of Harvey's debut, make sure to pre-order yours. It is set for release on March 21st.